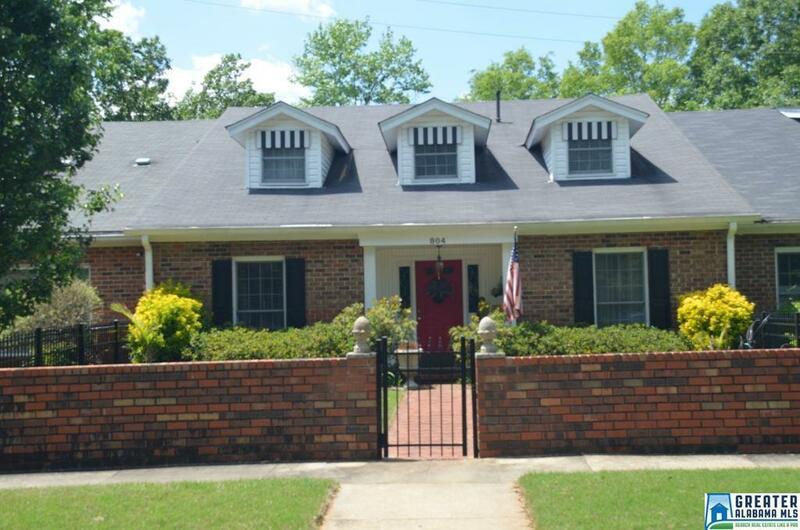 Totally fabulous townhome near downtown,hospital,doctor's offices, restaurants, and the Anniston Country Club!! This home features three bedrooms and two baths. The master bedroom and living room with fireplace is on the main level. With just a few steps up you have a large formal dining room, a large kitchen and den. The laundry room is also on this level. The upper level has two large bedrooms and a bath. Lots of new flooring, new stove and dishwasher and a new heat pump. The outdoor space is private and gorgeous!! It features brick pavers, lot of beautiful plants, a Koi pond, lots of electrical outlets for additional lighting, a single car garage. Bermuda grass was installed in the front yard along with all new awnings. Home is entirely low maintenance!! this is a must see in East Anniston. Call for your private showing! !